To be successful at wedding photography, you have to be a portrait photographer, product photographer, photojournalist and documentarian. You have to know when to fade into the background and when to step up and make things happen. You need to be sensitive enough to know when to connect and when to detach. One of our beloved photography professors called this a dance. As photographers, we need to be flexible enough to oscillate between these different ways of working. Only then can we create a dynamic visual narrative that honors your most precious memories. Every couple has a story that is unique. It is our goal and responsibility to create images that honor that story, your family, and wedding day. When you look at your photos, we want you to see nothing other than who you are, reflected back to you. We believe that your wedding photos should be as unique as your wedding is, from the defining moments down to the tiniest details. 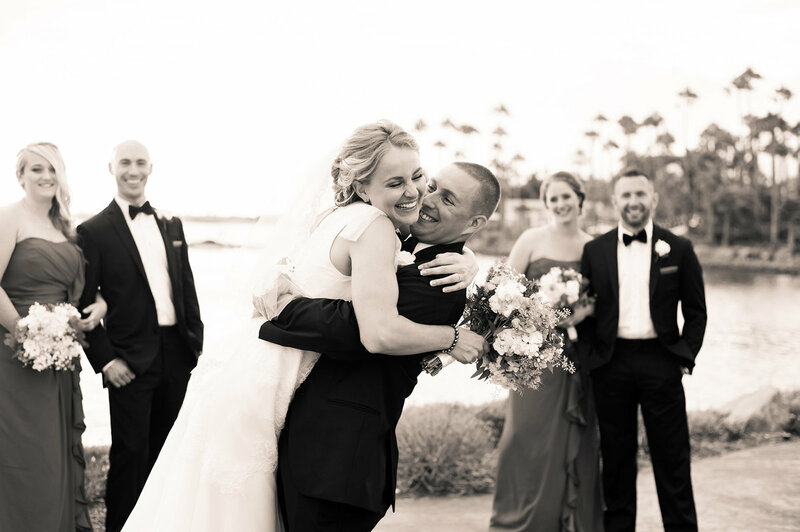 With authentic, honest images, you will be able to relive the moments (some of which you did not even know happened) that made your wedding meaningful for years to come. We value being able to use our cameras as instruments for social progress. We feel a strong responsibility to support arts programs and organizations that improve communities and our environment. Through teaching and donations, we are committed to supporting non-profit educational programs, especially those that use photography to inspire social change and self-transformation. We feel incredibly honored when hired to witness and document moments that are among the most precious in your life. We are responsible for shaping the way that your wedding day will be remembered for years to come. Therefore, we take our job very seriously. We both have degrees in photography and our work is grounded in the tradition of photojournalism, an approach to photography that we respect and love. We love what we do, and we are always challenging ourselves to continue to perfect our craft. FULL DAY coverage of your wedding begins at $3400 and includes two photographers, editing, an online gallery and the digital files. We can remember all that was involved in the process of planning a wedding (so many decisions! ), so we keep things as simple as possible. Our full day coverage always includes the two photographers that you choose, editing, digital downloads and the option to purchase an heirloom album. Can you tell me about your packages? Yes! Your edited photos will be posted in an online gallery that you can share, download and print from. We’ll also send you a keepsake USB drive with the full resolution files for enlargements. Please feel free to make your own prints. 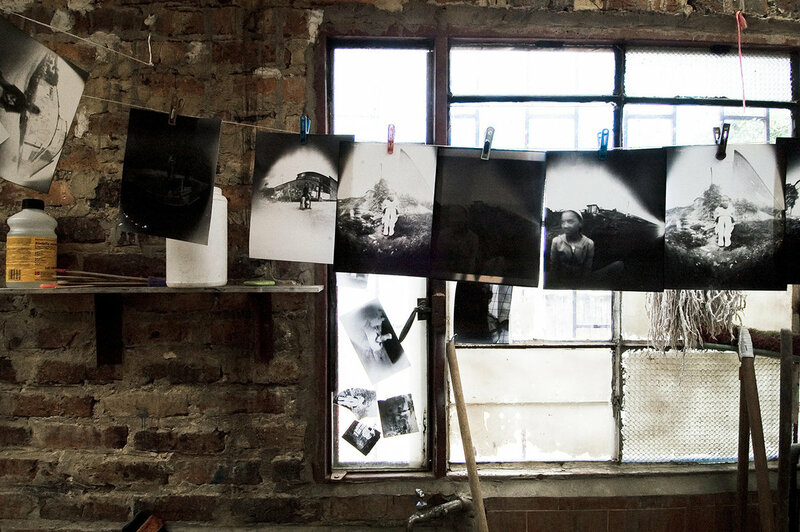 In college, our studies were focused mostly on photojournalism, documentary photography and printmaking. That time greatly has influenced the way we approach weddings. Our main objective is to create beautiful images that are honest and tell a story. You will have the option to book Rick and Bernadette or one of our team photographers... or a combination thereof. 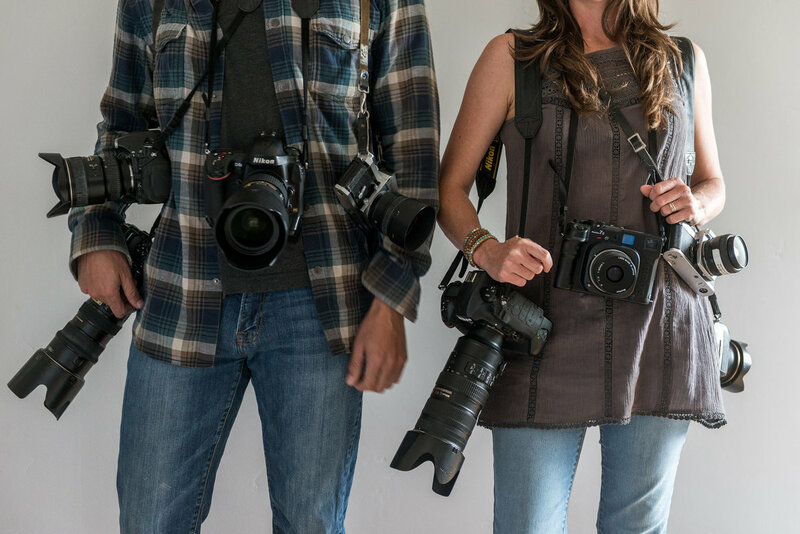 You will always have two photographers that have several years of experience photographing weddings, and have the top of the line gear. This way, you know that your precious memories are being documented and you can focus on savoring the moments in real time. We believe in telling the whole story of your day. This is why we include FULL DAY coverage, which means we are there to capture the day’s events as they unfold, from the preparations to the last dance. You shouldn’t have to worry about us leaving before something unexpected happens on your wedding day. When the wedding day arrives, your only job is to be present. You will create memories, and we will create images. We treasure the personal nature of this work, so it’s important to us to connect so that we can create authentic images. The engagement session is a perfect chance for us to get to know you as a couple and for you to see how we work. In case you are planning a destination wedding from afar - we enjoy sharing a cup of coffee over Facetime. We’re here for you throughout the planning process, too. Feel free to ask us for recommendations or input at any time. We meet up or chat on the phone. We get your date reserved with us! for considering having us document such a meaningful day in your life.